Viroqua was an enjoyable part of our trip to Wisconsin. Quite frankly, we absolutely loved it. Dominic was obsessed with the french toast he ate at the small restaurant (Viroqua Family Restaurant) next to our hotel, and ate there as often as we'd let him. We'd taken a small amount of snow gear, and Xavier and Dominic spent most of the time we were at the hotel playing in the snow, to no small amusement of the hotel's owner. I'm going to be honest here. We spent most of our visiting time eating at various local restaurants. We went to Dave's Pizza, where they had the most amazing pizza I've had in a long time. We at at the Viroqua Family Restaurant, where three of us fell in love with the cinnamon french toast. Gary and I finished up our visit at the Driftless Cafe. The Driftless Cafe almost made us abandon jobs, house, and pets in favor of staying in Viroqua forever. Wow. We also chatted with a lot of the local business owners. We visited Bluedog Cycles to get some coffee and talk to the owner. We found out that they run a cool mountain biking camp during the summer that our kids would love. 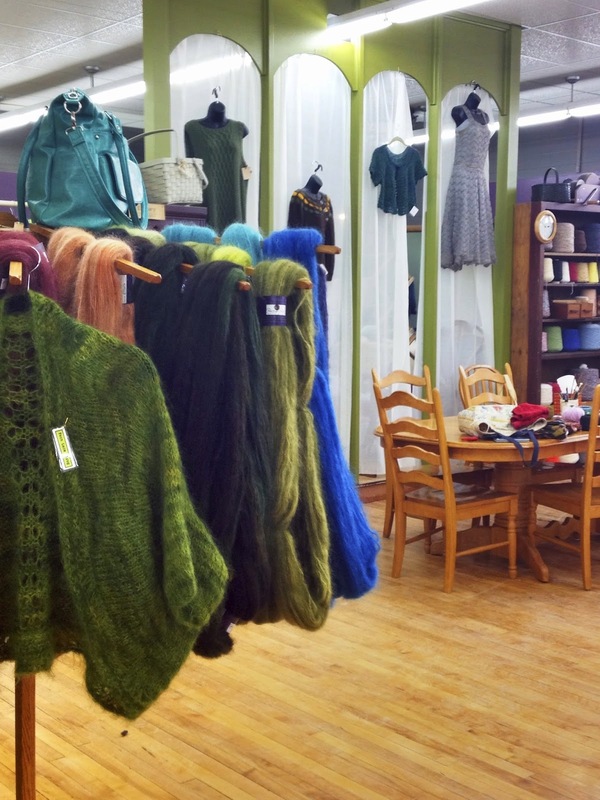 We spent a bit of time and money at Ewetopia Fiber Shop and CSA while the owner was at home giving birth. Who knew? Dominic got to sit and watch some ladies learning to spin while I shopped for yarn. Finally, we stopped at an awesome new store called Tulips General Store. So, we were all a little tired at this point, and just wanted to go back to the hotel and rest, but as we were walking past the shop window, I noticed a couple kids sitting in the window drawing. Sitting on the table beside them was a Doctor Who encyclopedia. I promptly dragged the kids inside to meet them. After all, this is a town we are considering moving to, shouldn't we meet some of the local kids? Not only did we hit it off with the owners, who are busy, busy women, but the boys spent an enjoyable hour talking to their sons about Doctor Who, Minecraft, etc. We also left with some great merchandise, including spoon rings and Doctor Who soap. 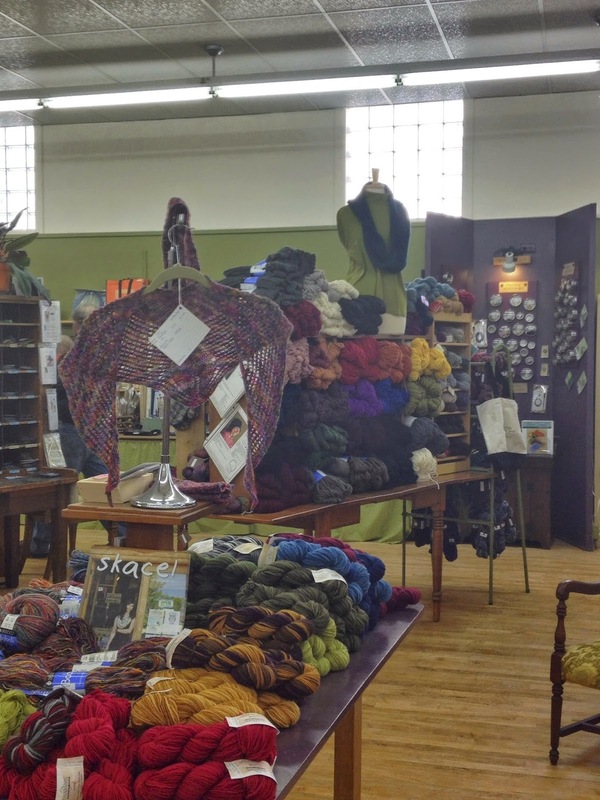 All in all, our visit to Viroqua was a nice, relaxing, escape from our day to day lives. I'd love to go back and go snowshoeing, or visit during the summer and go hiking. From what I understand, they have a great parade every year that would be worth seeing. Great picture of you and Gary! And wait... What?! You went to a yarn store? !